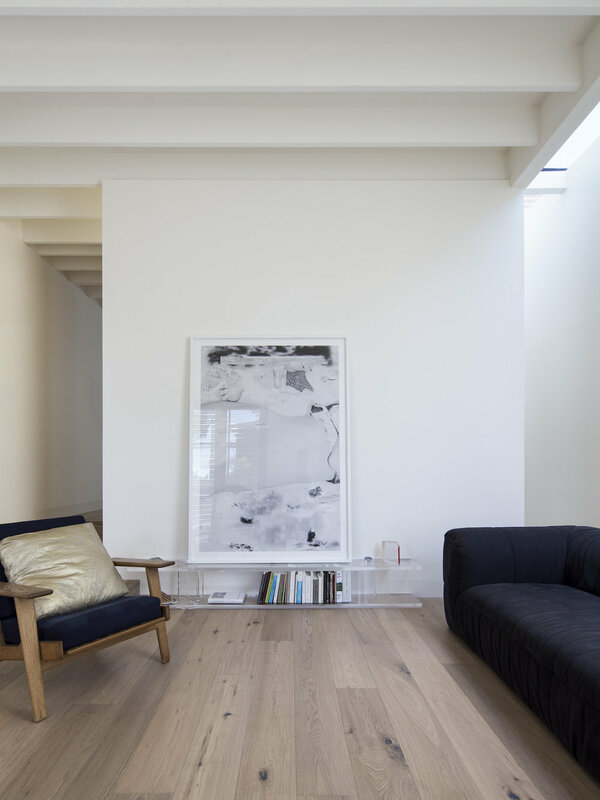 Located in St Kilda East, Melbourne, Australia, Walter&Walter have spear-headed the design of the minimalist House SE. 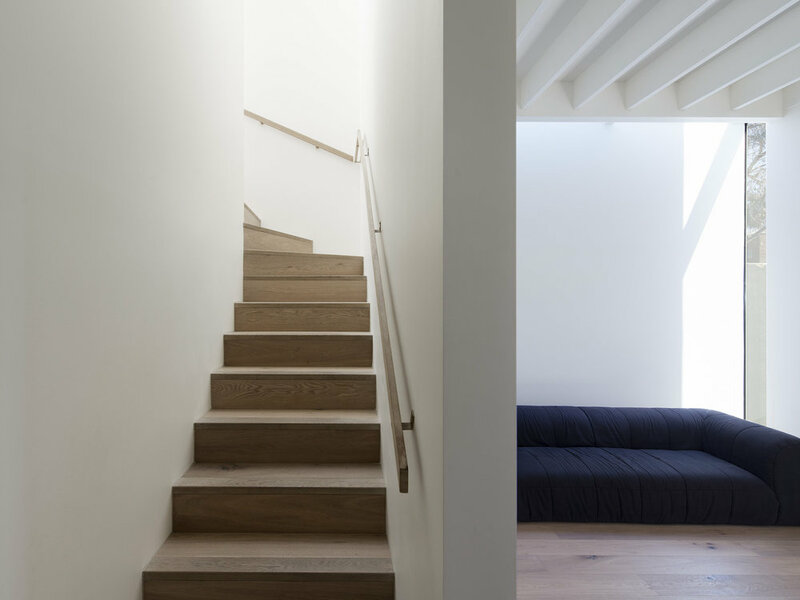 The residence was an early Victorian workers cottage with a small footprint creating unique challenges and opportunities for the designers from the very beginning. 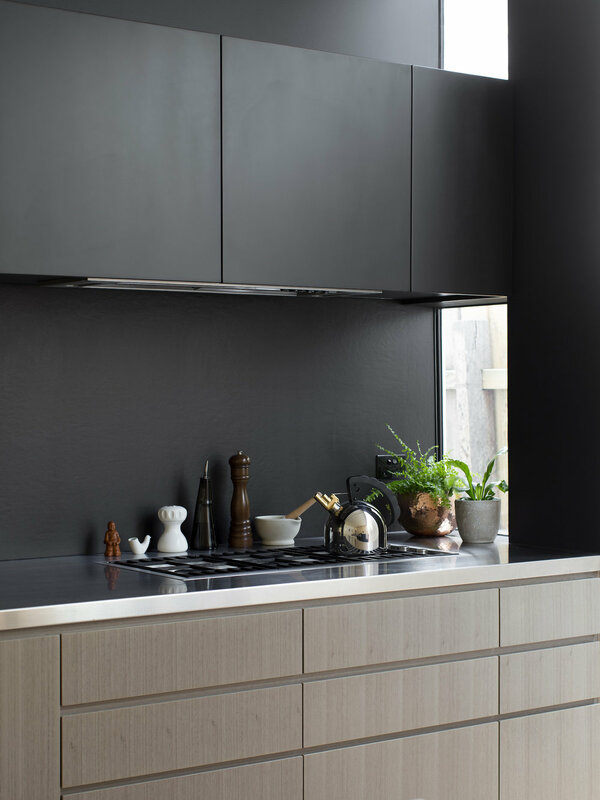 They were able to create a sense of space within this small frame through creative concepts, leveraging spatial traditions and exploring alternative solutions. 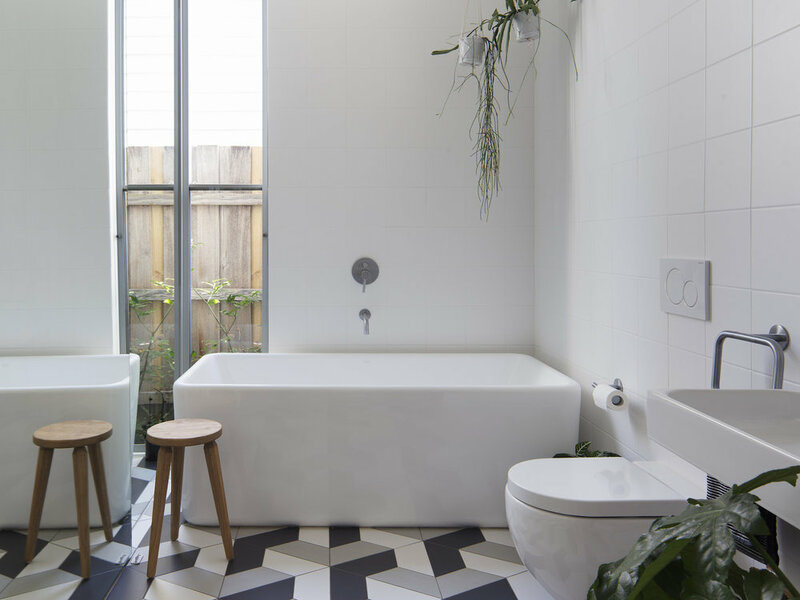 The thinking was to create a home that was a collection of smaller spaces such as the bedroom, kitchen, and bathrooms. They also looked at creating not just a horizontal space but a vertical space that opened up the available space to play and bring light in. 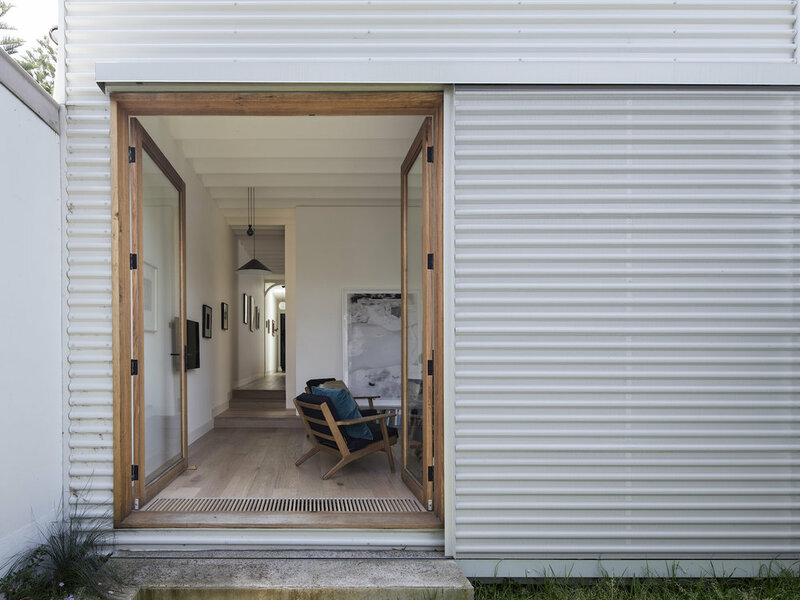 Externally, the home is layered with a perforated cladding that performs as an almost skeletal structure, while from the inside you are able to see the world with a sense of security. I really like the simplicity of this design, the use of space and the way the designers were able to create depth and height by incorporating pieces of furniture with low profiles.